against me! 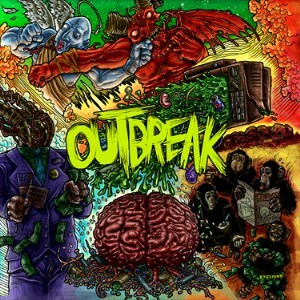 | Blogger Schizo! 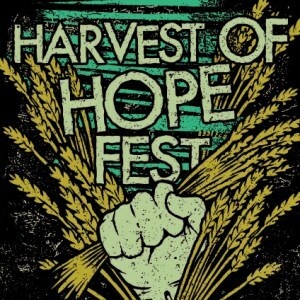 “Harvest Of Hope Fest” toplama albümü 12 Ocak’ta yayımlanıyor! 40 topluluk, 2 saatten fazla müzik! Fail Safe firmasının 12 Ocak tarihinde Harvest Of Hope Fest yararına piyasaya yepyeni bir toplama (2CD) albümü süreceği açıklandı. İlk CD’nin içinde HOH hafta sonu konser kayıtları bulunurken, ikinci CD’nin içinde stüdyo kayıtlarının olacağı açıklandı. Toplamanın adı, festivalin adıyla örtüşüyor. Parçaları ayrıntılı incelemek gerekirse 1’inci CD’de; Phil And Ed Kellerman Intro, Against Me! – “Pints Of Guinness Make You Strong”, The Bouncing Souls – “Gasoline”, The Casting Out – “Lullaby”, Propagandhi – “Anti-Manifesto”, Bridge And Tunnel – “Call To The Comptroller’s Office”, Joe McMahon (Smoke Or Fire) – “Cryin’ Shame”, Virgins – “Guitarnageddon”, Strike Anywhere – “Invisible Colony”, New Bruises – “Transmit Transmit”, No More – “Radiation Tower”, Flatliners- “July! August! Reno!”, Austin Lucas – “Go West”, Fake Problems – “Sorry OK Sorry/ Born & Raised”, Monikers – “Over”, Bomb The Music Industry – “Even Winning Feels Bad”, Gatorface – “The Cleaner”, Assassinate The Scientist – “Lorenzo Music Never Made It” parçaları görülüyor. 2’inci CD’de ise Less Than Jake – “Summon Monsters”, Anchor Arms – “Rusty Nail”, None More Black – “Oh, There’s Legwork”, Underground Railroad To Candyland – “Suey”, Ninja Gun – “Eight Miles Out”, Cutman – “Tough Love”, Onslaught Dynamo – “Stand”, Rehasher – “No Eye In Team”, This Bike Is A Pipe Bomb – “Jack Johnson”, Spanish Gamble – “From The Corazon”, Tim Barry – “Church Of Level Track”, Static Radio NJ – “Kill The Harmony Master”, Grabass Charlestons – “Dale”, Mouthbreather – “Daily Bread”, Coyote Throat – “The Cause”, Whiskey & Co. – “A Drink For You”, O Pioneers – “Limp Bizkit’s Greatest Hits”, Paint It Black – “Past Tense, Future Perfect”, Young Livers – “Non Monumental”, Cheap Girls – “Ft. Lauderdale”, The Shaking Hands – “Pave The Planet”, Laserhead – “Overdriver”, How Dare You – “Beacon St.” parçaları bulunuyor.